19708 Sea Rider Way, Lutz, FL.| MLS# U8040930 | Westchase Real Estate - Westchase FL Homes For Sale - Westchase Local Experts. 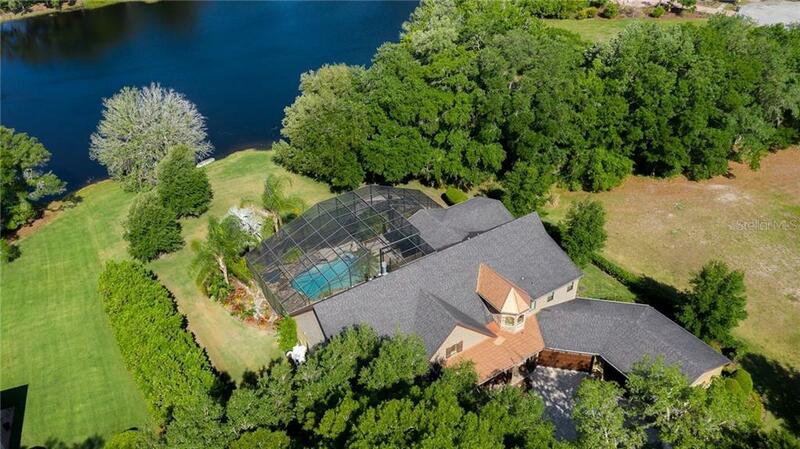 Waterfront CUSTOM built Luxury home with resort style pool/spa in gated community! No expenses spared constructing this 4 bed, 4 1/2 bath, 4 car garage with office, media, and game room. Two large sets of pocket doors lead to the enormous screened and covered pool area situated on 1+ acres overlooking the lake. Save HUGE on energy being built with ICF(Insualted Concrete Forms).More energy savings with spray insulation covering the ceiling, walls, & media room floor for noise reduction, Carrier Upgraded 35k HVAC system with UV lights, and Pella windows and 8 foot doors.Entering the home you are greeted with an abundance of natural light, hand scrapped wood floors, formal living room with fireplace, formal dining room, and large home office. To the right is a large open concept kitchen. It features 2 islands, Custom 42" solid wood soft close cabinetry with under-lighting and crown molding, tons of counter-top space, copper farm sink, gas stove with over sized hood, pot filler, High-end stainless steel appliances, walk-in pantry & eat in kitchen area. The spacious master ensuite with sitting room features in ceiling speakers, tray ceilings, his & hers walk in closets, jetted tub with chromo therapy, separate walk in shower with body sprays, rain shower, plus his/her shower heads(1 handheld), large bench seat and steam/sauna functions. Enjoy outdoors with full outdoor kitchen, LED lighting, SwimJet for exercise, waterfall, spa, sun shelf with umbrella holder, in pool table, outdoor fire pit. SO MUCH to see in person!